After finishing the European leg of its “Love Yourself” world tour, BTS returned to its homeland of Korea safe and sound. 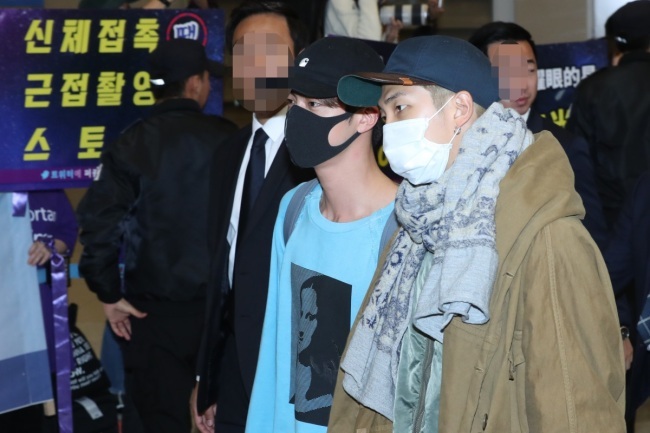 On Wednesday morning, BTS arrived at Incheon Airport, ending a stretch of 52 days abroad since it departed to Los Angeles for the first stop of the world tour. Overflowing with a European vibe, Jin wore a sky-blue T-shirt printed with the portrait of “Mona Lisa” and sandals from Givenchy, while Suga sported a long navy coat and blue wool hat from Chanel. 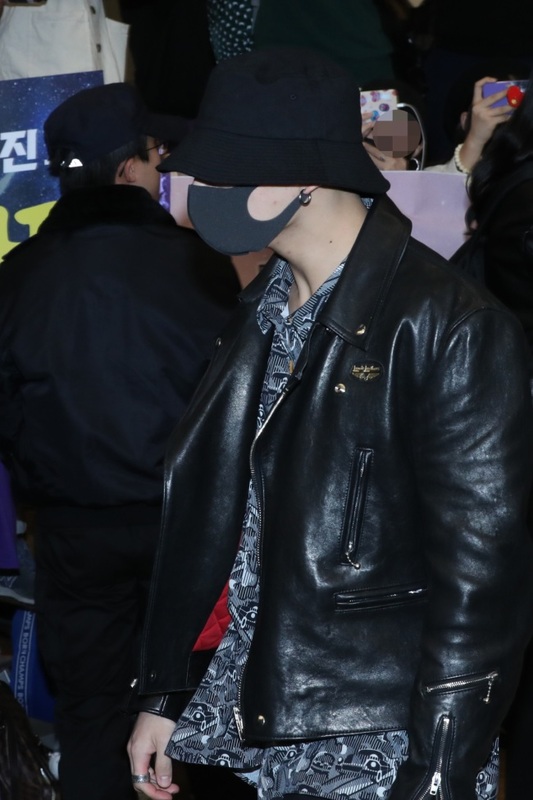 Jungkook opted for a chic black leather jacket and black bucket hat, while V and Jimin sported a beige trench coat and casual denim jacket, respectively. Bracing for nippy weather, RM layered a jacket and a coat while wrapping his neck with a light-colored scarf. With faces covered in masks, the band didn’t forget to greet fans, waving to them upon arrival. 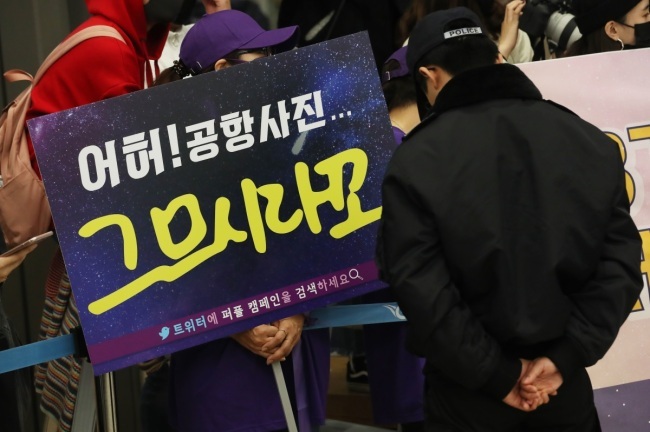 The group’s long-awaited reappearance received much fanfare along with strict security, as fans, who waited for the group at the gate from the wee hours of the morning, screamed at the band and numerous bodyguards escorted the group through the airport. 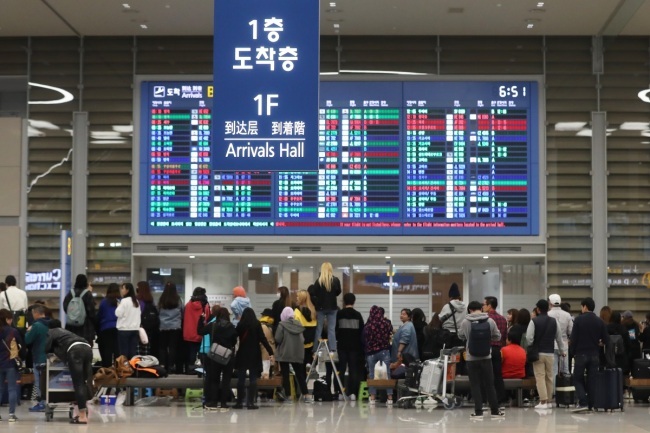 The movement was part of the Purple Ribbon project, a global movement among the BTS Army fan base to prevent crowds from crushing the group and to allow it to move through airports freely. BTS fans had also carried out the campaign when BTS flew into Los Angeles in May to perform at the Billboard Music Awards by making a safety barrier for the group with purple ribbons. BTS is to receive a Cultural Merit award from the government for its contributions in spreading Hallyu at the 2018 Korean Popular Culture & Arts Award ceremony later on the same day of its arrival. Having kicked off its “Love Yourself” tour in Seoul in August, BTS will continue on in Taiwan, Singapore, Hong Kong and Thailand from December to April next year.